In a Boston Consulting Group (BCG) study it was found that organizations reporting the highest capability in “delivering on recruiting” enjoyed 3.5X the revenue and 2X the profitability of those reporting the lowest capability. Employer branding, of course, is a key part of the foundation for attracting talent. 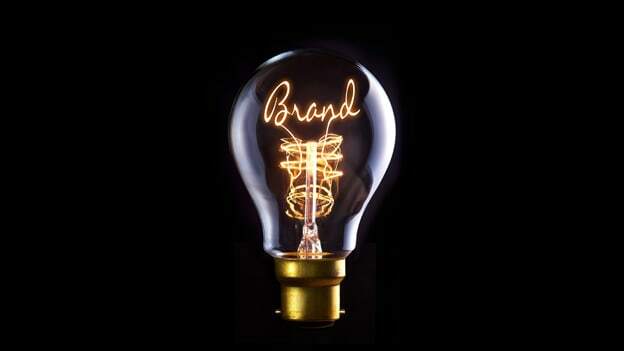 If you’re a CXO or a Business Unit Executive and want to know just one simple yet crucial thing about employer branding that will underpin EVERYTHING else you do to attract talent into your organization, you’ve come to the right place. Alternately, if you and your company are conscious of every rupee or dollar you invest in company-wide initiatives and are hard-nosed about generating a significant return on investment in employer branding initiatives, read on. When I casually ask people if they’ve heard of “Employer Branding” some nod and some don’t. When I further ask those that nod affirmatively what they know of it, most respond with things around Social media campaigns, Campus road shows, Advertising, slick marketing collateral, press coverage, Awards etc. They are right, Employer Branding is all of these yet it is none of these if one essential foundational ingredient and pre-requisite is missing. All of a company’s investments in employer branding can come to naught if this one key ingredient is left out of the recipe. A series of unsavory Glassdoor reviews can bring the RoI on all the above investments crashing to a zero! The truth is that a few honest conversations among friends over a social gathering, over coffee (or for more truthful conversations over 5 beers !) would quickly nullify the potential impact that creative slick collateral, videos or anything else that a branding or creative agency or genius can come up with. Don’t get me wrong, I fully well understand and totally appreciate the massive power of creative marketing My point is that if it isn’t backed up by reality it could very easily and quickly be nullified This is validated by research from the Edelman Global Trust Barometer survey which established that the most trusted source of communication now is “people like me”. Take my own example. I was approached for a job at a very well known company a while ago. What was the first thing I did? I picked up the phone and asked a friend who worked there what sort of a place it was to work ! So work! my point? Simple, just as they say there’s no smoke without fire, I say there is no Employer Branding without Employee Engagement. Employee engagement is the bedrock and foundation upon which all Employer Branding campaigns can generate value. With it, they can have an astounding and magnifying impact, without it, they come to naught. If you do get the employee engagement bit right there are a host of spiralling benefits that accrue, feeding one another and in turn generating astounding compounding value. An engaged workforce not only enables you to effectively attract top talent, it is also fantastic for your bottom line business results. A study by Hewitt Associates indicates that companies that delivered double digit growth over the past 5 years had average employee engagement levels that were on average 20% higher than slower growing companies. In further research from Gallup Consulting , comparing median differences between top and bottom performing teams they discovered that those with higher employee engagement were associated with 10% higher customer satisfaction, 21% higher productivity and 22% higher productivity. One key source that candidates refer to when deciding on an employer is talking to others at the prospective company whom they know already work there. And if the “people like me” findings from the Edelman trust barometer are to be factored in, where should you be focussing your employee engagement efforts when hiring? Cohorts of employees that match your target hiring profile. Taking great care to ensure an outstanding experience for these cohorts of employees within your company that match your primary hiring target profile is one of the key and fundamental starting point as well as a point of maximum leverage and return on investment for your employer branding initiatives or campaigns. To know where you stand, start by baseline your employer branding efforts by conducting an employee engagement survey as a health status check. A survey by Swedish employer branding leader Universum or the Gallup Q12 or LinkedIN's Talent Brand Index and Great Place to Work surveys are some options among others. In conclusion, Employee engagement and the employee advocacy of your company that it results in is the key and foundational bedrock of employer branding and also the starting point. There is just no way around that and no shortcut. Research from large firms such as Hewitt Associates and Gallup further confirm the correlation between employee engagement and business results. So not only does employee engagement give you the ability to attract top talent, it also directly impacts your bottom line and top line. The companies that succeed at attracting talent in the future will be those that underpin their employer branding with a solid base of strong employee engagement. I would love to hear your comments, ideas and suggestions based on my point of view above. Mezjan Dallas is an Employer Branding Consultant certified by Universum’s Employer Branding Academy. He earlier led Employer Branding for IBM India on campuses. He is a Gallup Certified Strengths Coach specialising in creating engaged high performance teams. Mezjan has 21 years of IT Industry experience with 17 years at IBM India across a range of management roles such as Product Development, Top Talent Management, Incubation, Pre-sales support, Services delivery, & Technology advocacy.